Diego Martin Central MP Darryl Smith should resign as a member of Parliament because women may not be safe approaching him following allegations of sexual harassment, says UNC Deputy Political Leader Khadijah Ameen. She was responding to the firing of Smith as a minister in the Housing Ministry one day after he was moved as Sport and Youth Affairs Minister. Smith came under fire after allegations of sexual harassment from his personal secretary which led to a settlement of $150,000 from the Sport Ministry for wrongful dismissal in the Industrial Court. 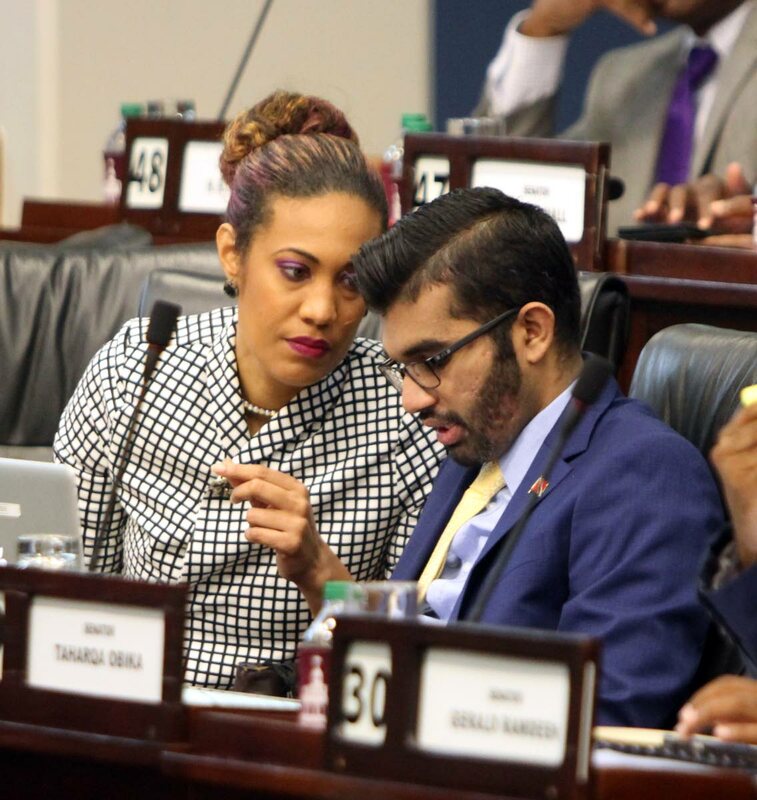 On Monday it was announced that Smith was moved as sport and youth affairs minister to minister in the Housing Ministry and then on Tuesday the Office of the Prime Minister announced he had been fired following "new information." Ameen in a telephone interview on Monday said Smith should also resign as an Diego Martin Central MP because as an MP you have to represent constituents. "The question is how comfortable and how safe women who need a job or any type of assistance for them or their communities would be in having interactions with a man alleged to be involved in sexual misconduct." Ameen said it did not matter whether the UNC or the PNM won the Diego Martin Central seat but the interest of democracy and integrity it was unsuitable for Smith to continue as MP representing the people. "Resign forthwith and allow a by-election to take place in that constituency." UNC Women’s League PRO Marisa Ramlogan said the league agreed with Smith's removal as a minister as people should not be rewarded for (alleged) sexual harassment. She added, however, there was still concern over the fact that Smith was still an MP dealing with women who come to his office and this represented a threat. "We expected the Prime Minister to act and he acted on information he got, though it was a bit delayed." Reply to "Ameen: Danger having Darryl as an MP"